eRun Coach loves Vivobarefoot Kids! All models are wide, thin and flexible with a super-thin puncture resistant sole - these durable barefoot shoes let nature do its job. Check out our range of Vivobarefoot quality leather school shoes and lightweight synthetic shoes for playtime and adventures. Why Vivobarefoot? The bones in a child’s foot are not fully formed until the teenage years: non-foot-shaped shoes deform and weaken growing feet, compromising foot health and natural movement ability. Beyond that padding takes away the sensory feedback from feet to brain and hampers brain development. Children need to be given space to develop naturally, just like their feet. Vivobarefoot follows the simple rule. Let your kids feet do their natural thing. We try to ‘protect’ growing feet by putting them in ‘normal’ shoes, without realising that most shoes deform the natural shape of a child’s foot reducing stability; narrow shoe shapes and ‘support’ also weaken the hundreds of muscles and tendons in the foot. More than 70% of our brains information comes from the 200,000 nerve endings in the soles of the feet. Cushioned soles, that supposedly keep kids’ feet safe, actually result in removing the important sensory link between the feet and the brain and therefore, less skilful movement. A strong healthy foot is the foundation of natural movement. Your big toe, muscles and nerves work together to help you move in a healthy way. Find out more by clicking the link below. 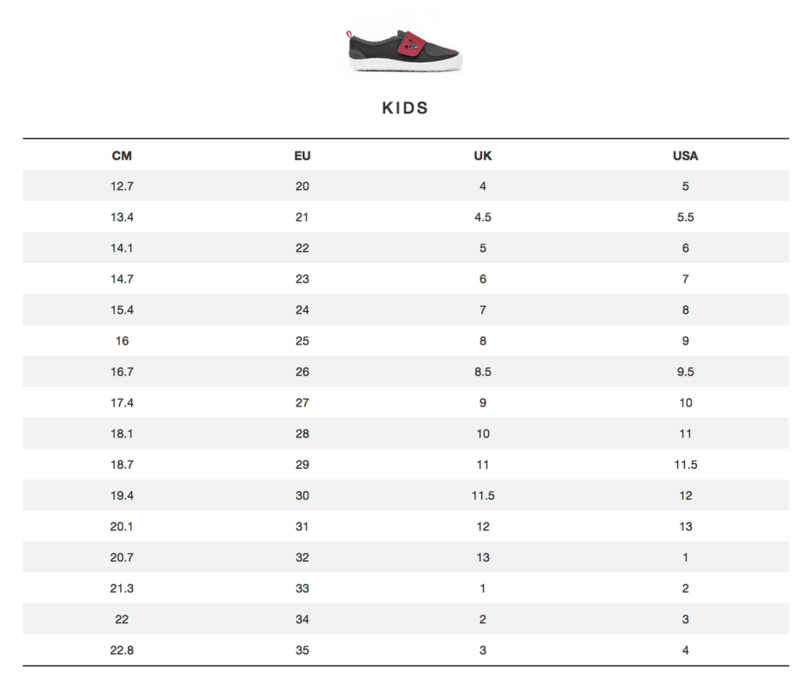 Vivobarefoot shoes let kid’s feet thrive as nature intended. They’re built to protect feet from the sharp objects and from the cold, whilst still allowing them to grow and function as they should. 90% of feet are born healthy. The Vivobarefoot mission is to keep them that way. Our foot shaped, ultra thin and flexible kids shoes are designed for growing feet and developing brains. Watch the video's below to discover some of the myths of traditional footwear and why Vivobarefoot shoes are a superior choice for your child's developing feet. 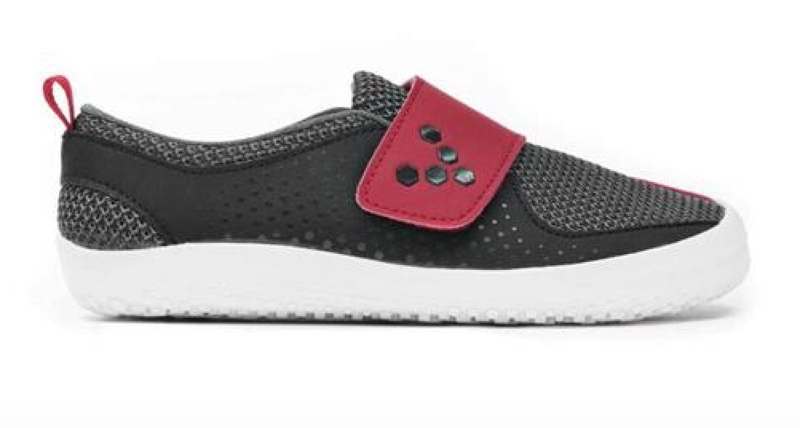 Perfect barefoot school shoe made from durable soft leather. Let kids feet develop naturally in this vegan friendly barefoot shoe. 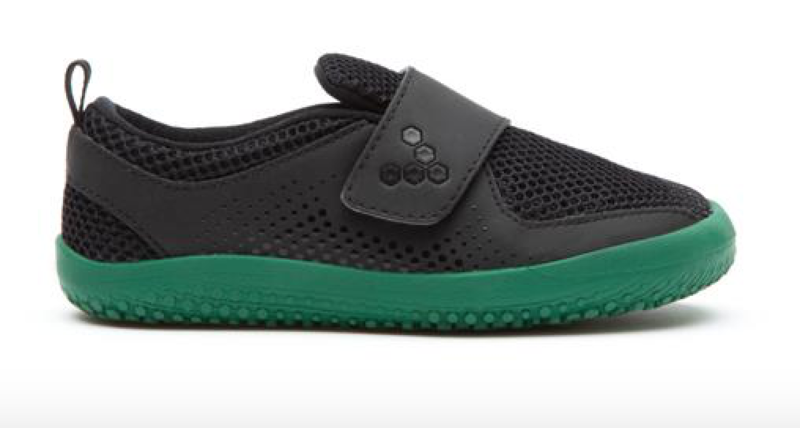 Save $10 on Vivobarefoot Kids! Use code VIVO10 at checkout. Note supply is limited. If we are unable to fulfil your order we will let you know ASAP. Delivery time is approximately one week. Watch this video about how to correctly choose shoe size. 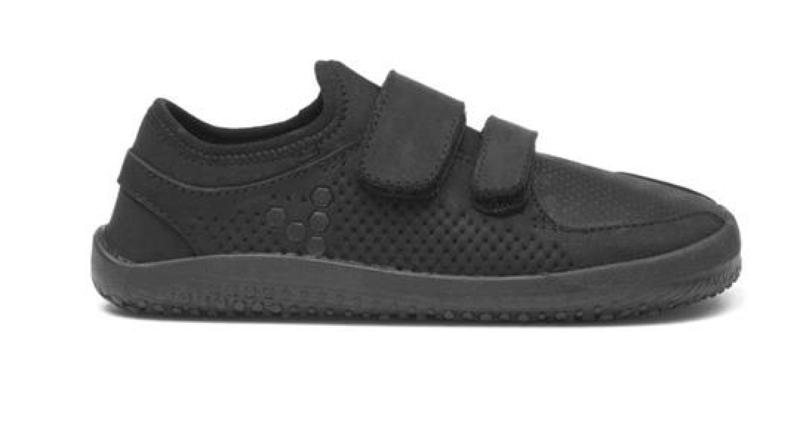 Vivobarefoot Kids shoes are a favourite with our customers, especially the school shoe range during the back to school season. This means on the odd occasion we may not have your chosen size in stock. If this happens we will let you know as soon as possible, always within 72 hours, and we will give an estimated delivery date (less than 10 days). We understand if you want to cancel your order, but we hope you can stick with us as we are a small business doing our best to keep up our stock levels of Vivobarefoot Kids in Australia. Since becoming a father Norbert Petras, the founder and head coach at eRun Coach, has become passionate about the health of his children's feet and one day plans to launch his own range of children's footwear. ​Norbert has discovered that many shoes on the market do incredibly well with their marketing, however their design is NOT based on the shape of a real human foot. In particular the toe box of most shoes does not accomodate the proper alignment of the toes and are guaranteed to have a negative effect on the way the foot and lower musculo-skeletal system develops, especially in kids. Norbert hopes to educate the next generation to choose correctly shaped footwear and prevent foot damage from the outset. Norbert feels responsible for being part of the movement that is breaking the pattern of foot binding and bracing, which has been happening for hundreds of years. If he can be part of this change then I feels he will have fulfilled a big part of his dreams and life purpose.